When New Balance’s Minimus line of shoes exploded onto the scene a few years back, all the focus seemed on the natural running crowd, with the MT and MR trail and road models taking the limelight. But their cousin the MX20 cross-trainer has been on my radar for some time as the potential pick of the range. While I have jumped on the minimal shoe bandwagon and taken it to the limit, almost exclusively wearing zero-drop, thin soled shoes which were great for running but didn’t end up being the all-rounders that I needed for the variety Crossfit training throws at me. I’ve had a secret hankering for the retro-looking electric blue models with white sole, and they didn’t disappoint when pulled out of the box. These things look fresh! The usual hallmarks of New Balance’s Minimus design are there: light weight, flexibility, anatomical design, lower stack height and roomy toe-box. From there, they depart solidly from the rest of the Minimus range. The shoe has a simple lightweight upper with plenty of mesh for ventilation, and a reinforced section around the toe and heel to back up the claim of being a do-anything gym shoe. 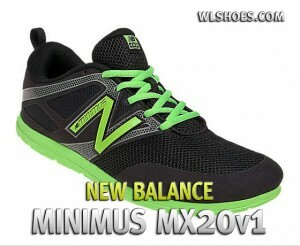 Surprising when compared to other Minimus/minimalist shoes is the heavily-padded collar around the heel. New Balance says this is to give additional support, but I think they could’ve slimmed it down a bit for a more agile feel. Interestingly, the new version 2 MX does have a much thinner collar and we’ll cover that in and other design changes in the newest review. Key features of the shoe are its mix of minimal upper with a more solid platform geared towards weighted movements in the gym. As with the rest of the original Minimus range, flexibility is great, and the shoe features a low heel height with just a 4mm heel-to-toe drop. Sometimes the quest for light weight leads to intricate designs and space-age fabrics, but these are a refreshing honest and simple shoe. 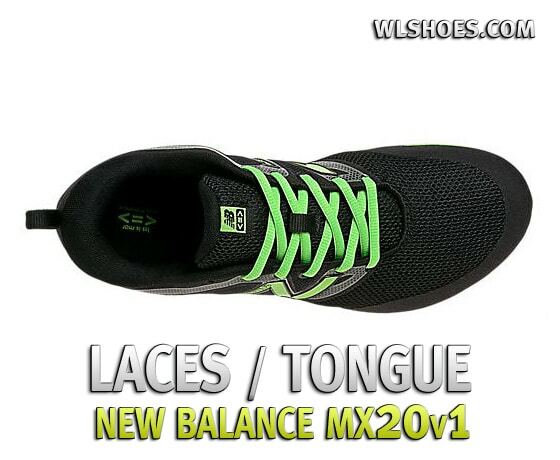 There is lightweight mesh, simple lacing and reinforced sections that brace the instep and mid-foot for extra stability. A hallmark of the Minimus range is a smooth, no-sew interior almost devoid of seams for a snug fit even when worn barefoot. The MX20 gets halfway there on this front, with a better effort than your regular gym shoes, but is some way short of my other Minimus shoes the MW20 lifestyle and MR00 road racers, both of which are super-smooth on the interior. The MX20 has a few noticeable ridges around the tongue and mid-section, but they do give a pretty good feel both with and without socks. The small drop from heel-to-toe is perhaps the most noticeable feature to anyone unfamiliar with the minimalist shoe movement. This means there is far less difference in height from front-to-back, designed to give you a more natural, planted feel and ensure the shoe works with you instead of against you. Typically this has been desirable for runners looking to maintain a natural, mid foot strike, but this is one of the first such designs for a gym shoe. They key feature of these shoes for me, and I suspect for most readers, is the unique sole. 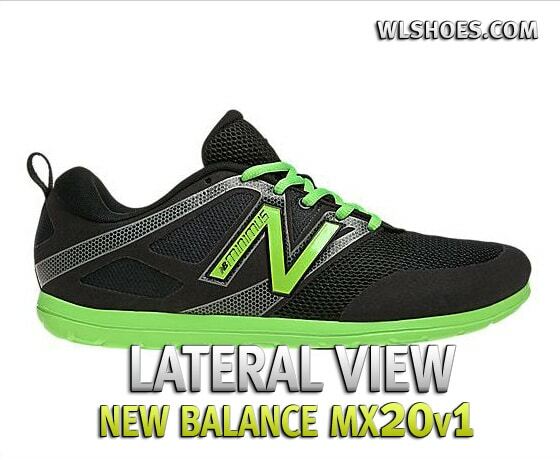 The shape is based on New Balance’s minimalist last, which is said to be more anatomical and especially broader where it needs to be. Right on. 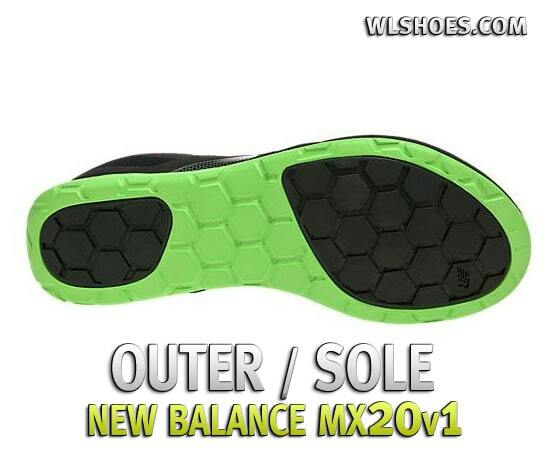 In this case, the sole is also very cleverly constructed of two different materials. A light, firm-yet-springy EVA for the most-part, with two inserts of denser material front and back. These two large areas sit right under your forefoot and heel, and this is where things get interesting. These areas are a much denser rubber, which compresses way less than the light EVA around them. They also provide superior grip. One issue I was concerned about after some quick internet research, was the fit and sizing. I had an issue with the rubber band across the forefoot on the Minimus Trail model and never felt comfortable with my wide foot. The MX20 has no such issue, so good news there. The toe-box is nice and wide, not overly high, but there is not a huge amount of toe-spring so I don’t think this is an issue at all. But a lot has been said online about the sizing. The consensus seems to be these shoes run a touch short, so consider sizing up half a size. I fit a 9.5 in other Minimus, but grabbed a 10 in the MX20 based on this common suggestion. Seems that was the right way to go. I have no problems with fit at all, but it still does feel like a slightly bigger shoe than I would normally get. Once I’m working out though, it gives me no issues at all. 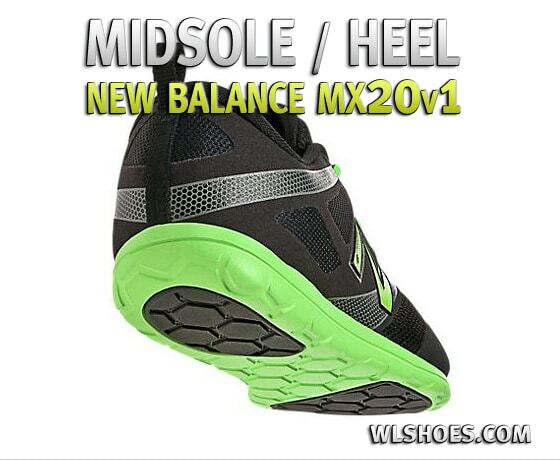 So in the MX20 you get a lightweight shoe with stability and traction where and when you need it. Why and how does this work? Well, if you are thrown into a workout which has you moving from station to station, or throwing your body around with any kind of plyometric movements, you’ll appreciate the careful placement of this grippy rubber right where you drive the balls of your feet in to change direction, land when kicking out on a burpee, or slam your feet back to get under a solid overhead bar movement. I’ve seen people come unstuck in these areas in other lightweight shoes. Secondly, if you are throwing some decent weights about either overhead or perhaps squatting, you’ll appreciate the lack of compression in the heel area especially. This is perhaps the biggest difference compared to normal cross-trainers. But as we’ve stated here numerous times before, if you’re doing some serious lifting you should be wearing purpose-designed shoes with a high, solid heel. In other words, an Olympic lifting shoe. These will certainly compress under heavier weights. As you could imagine, when it comes to purely weight lifting my Reebok Crossfit Oly Shoes outclass the MX20 hands-down. But, and it’s a big but, if you are moving through multiple disciplines in a workout or doing high reps of low weights with maybe some running thrown in – these shoes excel! I’ve pushed these shoes with a mix of 400-800m runs, burpees, overhead squats, cleans, front squats, box-jumps, kettlebell swings and countless bodyweight movements. So far, no chinks in the armor! The best test for me was repeated 400m sprints with overhead squats in between, requiring a sometimes elusive mix of stability and agility. I felt planted and solid in the squats, but had no trouble hitting the road for a quick run. Underfoot, these are definitely not going to give the level of ground-feel felt in truly minimal shoes, but despite their stability they don’t slap along uncomfortably on a run. In fact the flat but slightly springy EVA was pretty nice to run on and the traction was great. I wouldn’t run a marathon in them but they certainly didn’t feel like they weighed me down as many traditional trainers would. Burpees and pushups felt good, with no issues of pinching or inflexibility in the toe box. Landing from a box-jump or pull-up set was solid but with enough spring to minimize fatigue over longer stretches. And stability was never lacking for weighted movements. There is just enough heel-to-toe drop to give that nice solid feel you get in lifting shoes, but they don’t turn around and trip you up when you’re moving around. Skipping and running both feel natural and easy in these shoes, with enough cushion to help you keep going, but minimal enough design to not interfere or fatigue your feet prematurely. Overall these shoes live up to their description and deliver on their promise. So many products that try to cover many bases end up just being average everywhere. These have just enough of everything to be a real contender for me as “one shoe to rule them all”. These shoes are available from numerous stores locally and online. I would say that trying these on before buying would give me some piece of mind given the few issues I’ve run into with sizing. If you are planning on ordering them online I would recommend buying directly from NewBalance.com since their prices are very reasonable and returns and/or replacements are a simpler process when you buy directly from the source. I had a member at my gym recommend these shoes to me and since I had been looking for a minimal shoe I began shopping around. I don’t like the way all the innov8’s look the same and their Bare-x model (CrossFit specific) seemed too minimal for my liking. I wanted something minimal but that also had some cushion for things like box jumps and double unders, really anything where I was constantly pounding. 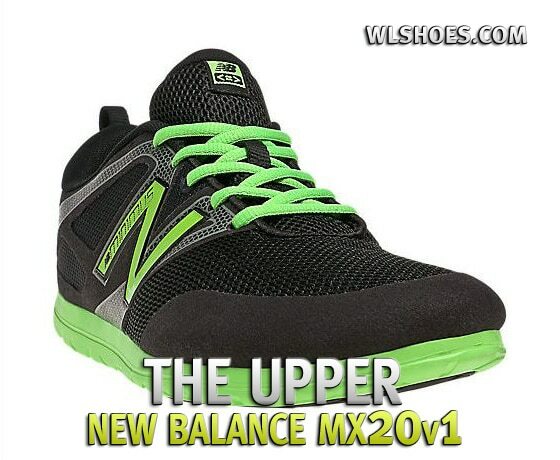 I landed on the New Balance MX20’s because they seemed to be just what I was looking for. The first thing I noticed was how clean the design was. I have the white/black/bright yellow pair and they look great. The other colors didn’t look very appealing on the site but I haven’t seen them in real life. I think the pair I got look very good. However what is really important is how everything fits. This is the most comfortable workout shoe I’ve tried. When I coach I usually just wear shoes that look cool and since I’m kind of a shoe diva I have about 20 pair in the rotation; but lately I’ve found myself switching back into my MX20’s even when I’m not working out just because I’m on my feet all day. I really love the MX20’s during workouts. I use them for everything from heavy deadlifts to running to box jumps. The toe is getting a little worn from burpees/push-ups but that is going to happen with any shoe. The only time I don’t wear them is when I’m doing strict lifting workouts, I have my oly shoes for that so I might as well use them, although at times when I forget them the MX20’s have performed very well in my oly shoes place. They fit me true to size, I wear a 10 normally and the 10 fit great. The only downside is that I was only able to find these online. Luckily everything worked out well for me when I received them in the mail. Overall I give this shoe a 5 out of 5. Although I haven’t tried climbing a rope yet I think they would perform fine. I am a little worried that over time the rope is going to tear up the shoe like it has done to my old pairs but that’s to be expected with almost all shoes. I can’t think of any cons for this other than maybe the color choices aren’t that appealing. I’d like to have these in some more colors if they had some that looked decent. I own a Crossfit gym and I go through shoes like it’s my job (sadly, it is not my job)! I am constantly searching for shoes that will hold up to the rigors of CrossFit but aren’t arbitrarily expensive like Inov-8 or Reebok. I feel like the shoes that a CrossFitter needs don’t have to be incredibly fancy, probably just light, flat-ish, and durable. I have tried several different brands of shoes and sadly I haven’t found “the answer” quite yet. Upon receiving a pro-deal with New Balance, these have been my latest attempt at finding a good shoe. Features: Some of the things that I like about the MX20’s are their simplicity. I am not really a shoe geek so I don’t have a ton of experience evaluating the specific features of a shoe but for CrossFit I am looking for something minimal, that doesn’t weigh a ton, and that doesn’t push me up onto my toes for things like deadlifts. These shoes seem to fit the bill. They aren’t all that flashy but you don’t have to think about them while working out, which is key for me. They have a low profile which makes them good for the lifting and shorter runs. The sole on the shoe has sticky rubber and I don’t worry when doing box jumps, lunges, etc where grip is paramount. Design: I have always appreciated the design and styling of the Minimus line. I feel like some of the other brands go out of their way to make the shoe look like something from the future. No need for that, give me a cool color and a simple design and that goes a long way. Many of the shoes are a simple 2-tone, gives the shoe a slightly retro vibe as well. No complaints here on design. Fit and Sizing: Unfortunately, through the several pairs of New Balance’s that I have owned I have found that the sizing is somewhat inexact. I have gone back and forth on my three pairs of Minimus shoes. The trail shoe seemed to fit true to size, my road shoe seemed way bigger (despite having ordered the same size) and now this trainer seems true to size as well. 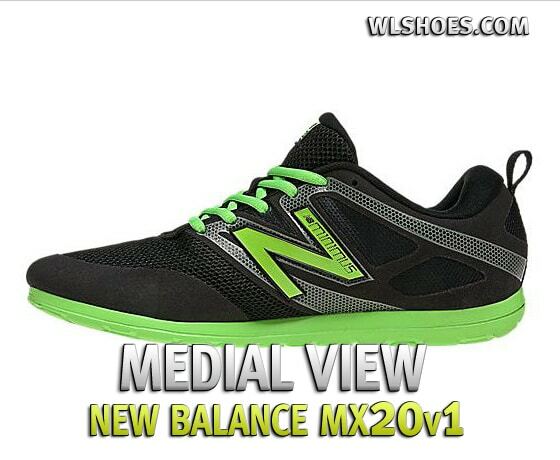 Considering the review is only for the MX20 I will give it a green light but in general New Balance needs to work on sizing across the board. Overall Performance: I love the the MX20’s….for about a month. They seem to break down much sooner than I would like or expect. Again, I am a CrossFit gym owner and coach virtually all of the classes so I put a lot of time in these shoes but I had hoped for more. Thus, my search continues. I have had issues with the rubber on the bottom breaking away from the sole of the shoe and the toe cap durability has been sub-par. This was surprising enough that I actually wrote New Balance an email and they responded appropriately enough, actually offering to replace them, but you know how it goes when you are busy. Packing up your work shoes and sending them back and then waiting for a replacement, I’m not exactly motivated to do that. So, they perform spectacularly for a while but then they inevitably break down, this has been my experience with all 3 Minimus models that I have owned. I think CrossFit is hard on shoes but not hard enough to destroy them in one month. If you are simply wodding in your shoes (and not coaching day in and day out), you’ll probably be fine with them. I bought a pair of minimus trainers about a year and a half ago for powerlifting/gym workouts for $85 off the New Balance website. Not bad shoes overall, I do love how little they weigh. They also have a flat, fairly firm sole that is good for deadlifting and most other basic types of lifting. I have not really had any serious problems with instability while squatting, but I do feel that they are lacking a bit in the stability department due to the lightweight/mesh design and low cut around the ankle. They also work just fine for running, which is a plus, but I really don’t do a whole lot of running. On a positive note, they have held up exceptionally well after a pretty solid beating I put on them on a consistent basis. Overall, I’d say it makes sense to buy these if you’re just getting into powerlifting or general weight training and want a shoe that can be used for other physical activities as well, but not ideal for serious powerlifters who tend to prefer chuck taylor’s for squats and deadlift slippers. I have done some olympic weightlifting in these and found that although they will not prevent you from doing the lifts, they will not help either due to flat sole and lack of support. -they are a bit spendy at ~$85, especially considering Chuck Taylor’s are only $40-50 or less, and both serve basically the same purpose in the weight room.